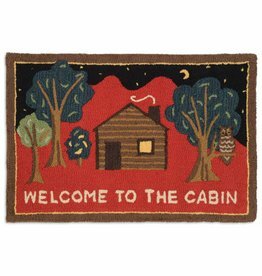 A charming log cabin welcomes you in. Come get cozy by the fireside. 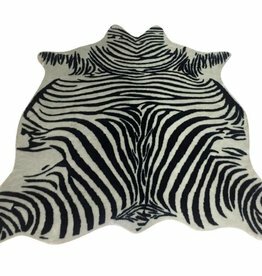 2' x 3' hand hooked rug. 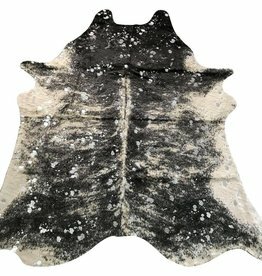 made with 100% natural wool. Designed by Laura Megroz. 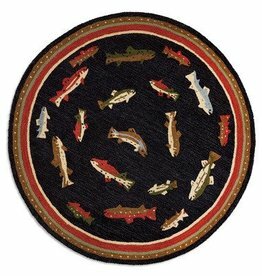 A pool of swimming fish congregate on this circular round hooked rug. Add it to any space for some instant character! 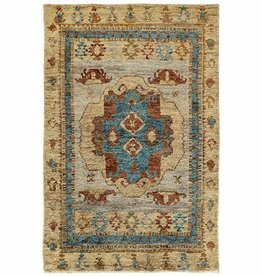 5' round hand hooked area rug. Made with100% wool. Designed by Laura Megroz. 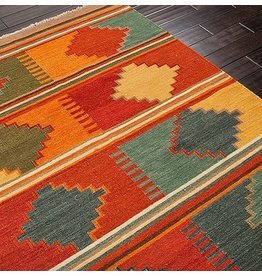 A perfect, bold accent rug. Next to the bed? In front of your reading chair (okay, we know it's probably your TV chair, whatever)? 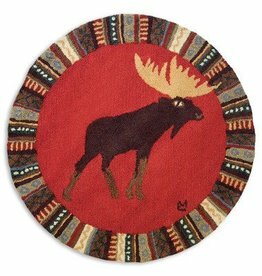 36" round hand hooked rug. made with 100% natural wool. Designed by Laura Megroz. 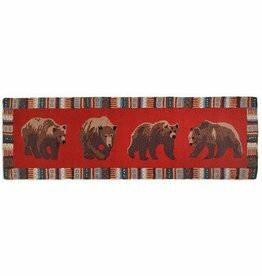 The strength of the bear is felt in this runner rug. Framed with interesting designs, bold red in the background, it will add a lodge feel to any home. 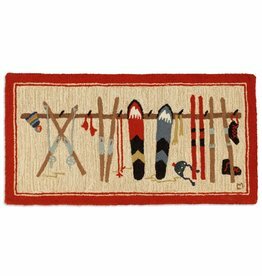 30" x 8' hand hooked runner rug. Made with 100% wool. Runner full of moose, the moon, stars, and other delights! One of our most popular styles. 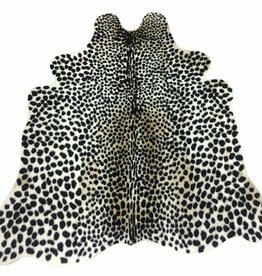 30" x 8' hand hooked runner rug. made with 100% natural wool. Designed by Laura Megroz. 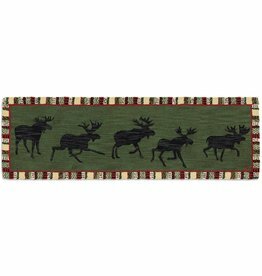 These striated moose ramble along a rich green background with an interesting, colorful border. 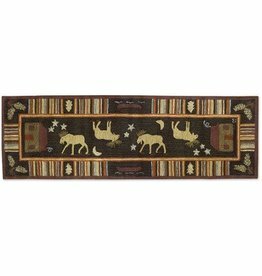 30" x 8' hand hooked runner rug. 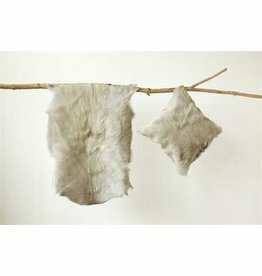 made with 100% natural wool. Designed by Laura Megroz.